Stem cell therapy is a new and exciting treatment option for patients suffering from knee pain or injury as well as other conditions and diseases. 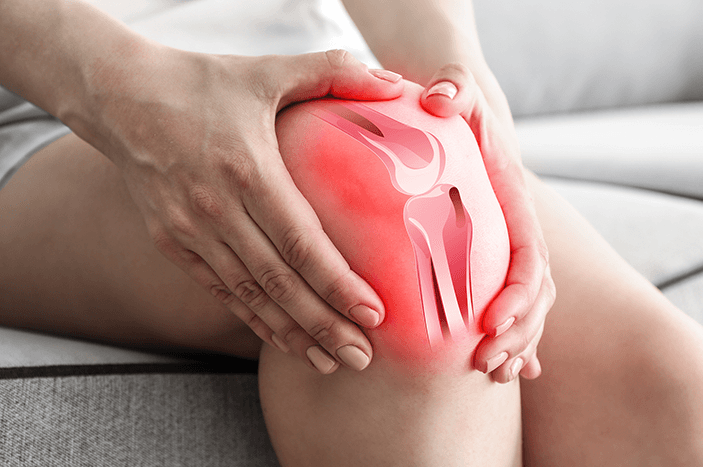 Given its many potential benefits, some patients may find getting stem cell therapy for knees could provide a relatively safe and natural alternative to surgery. This could hold especially true for patients suffering from knee pain or inflammation caused by conditions such as osteoarthritis. Which Type of Stem Cell Therapy Are We Talking About? There are different types of stem cell therapy, and the type you receive has major implications. Today, we’ll discuss therapies using autologous adipose tissue-derived adult mesenchymal stem cells as well as some other options that are out there, all of which seem to show varying degrees of promise. In layman’s terms, we’re mostly talking about treatments using stem cells harvested from your fat, then injected into your knees. We’ll also discuss and link to articles about some of the other options out there today. Along the way, we’ll explore the benefits adipose stem cell therapy could potentially have over some of the alternatives, though everything depends on each patient’s unique circumstances. Fat-derived stem cell therapy procedures are performed in the hope of a positive clinical outcome for patients, potentially combating the symptoms of diseases like arthritis and other forms of knee pain. These ‘adipose’ stem cells just might offer the lowest risk and highest reward when it comes to treating knee injuries with stem cell therapy. These days, there are plenty of articles about stem cell therapy on the Internet. However, many articles about stem cell therapy don’t really explore the studies and science behind it, and that’s a problem for patients trying to make a decision. This article aims to help amend that with plenty of links to real case studies of real people using varied forms of stem cell therapy for knees. Why Is Adipose Stem Cell Therapy so Popular? 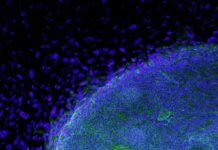 In 2002, researchers at UCLA published a manuscript that officially added the adipose-derived stem cell to the roster of potentially useable adult stem cells. Since then, clinical trials, patient outcomes, and research on the subject have been published and discussed enough to generate the idea that adipose stem cell therapy may be a promising new frontier for the treatment of knee pain. This hope for recovery or alleviation of symptoms and the possibility of an improvement in quality of life is what makes stem cell therapy so popular for many patients suffering from knee pain. What Are the Potential Benefits of Stem Cell Therapy for Knees? Performed with care, stem cell therapy could offer many benefits combined with a short recovery time and a quick return to daily activity. Adipose stem cell therapy procedures used to treat knees are quick and minimally invasive, allowing patients to return to normal activity with minimal downtime. In a recent series of case studies, doctors used autologous adipose tissue-derived stem cell treatments to regenerate cartilage in patients with knee osteoarthritis and osteonecrosis. Many patients experienced substantial reductions in pain and increases in meniscus growth and mobility over the course of three months. In a randomized, double-blind, control study of 55 patients at 7 institutions, patients in two groups were treated with varied amounts of adult human MSCs (mesenchymal stem cells) while a third group served as a control group. 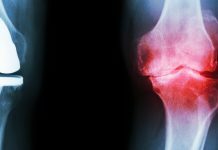 Patients with osteoarthritic changes in the two groups treated with stem cells experienced significant reductions in pain. 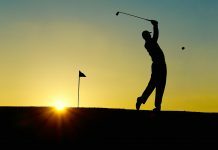 Some of these patients experienced more than a 15% increase in meniscal volume after receiving stem cell therapy treatments for their knees. Additionally, this paper on clinical studies that treated patients with cartilage disorders using adipose derived MSCs (ADSCs) suggests that with a carefully customized treatment plan, patients could have hope for an improved clinical outcome. These studies suggest the possibility for patients to experience potentially significant improvements in mobility and pain management when using stem cell therapy for knees affected by arthritic knee pain. This might offer hope that stem cell therapy could be a viable natural alternative to surgery for many potential patients suffering from conditions such as osteoarthritis and arthralgia. Autologous stem cell treatments use stem cells taken from your body. In recent times, there has been a shift towards using autologous adipose tissue-derived adult mesenchymal stem cells, or stem cells taken from the fat on your own body. Since these are healthy cells from your body, it makes sense that they could carry much less risk than treatments using foreign manufactured or biological materials. For instance, your body might not recognize and could attack some foreign materials. Additionally, as mentioned in this article that highlights reasons why knee replacements fail, large metal and plastic knee implants could serve as a vector for infection by playing host to bacteria that can latch onto them. Did you know that as much as 20% of the general population suffers from nickel allergies? Of course, this won’t affect how patients react to the stem cells injected during stem cell therapy for osteoarthritis, arthralgia, or other knee pain or injuries. However, there is a possibility for a severe allergic reaction to surgical knee implants containing nickel. In the case of Diane Velluci, she experienced such an agonizing allergic reaction to her knee implants that she felt like she was poisoned and dying. After having both knees replaced with metal implants, her allergies left her so weak and exhausted that she required a leg lifter just to get on and off the couch. Ultimately, a revision surgery was necessary to replace her knee implants with ones that were nickel-free. Stem cell therapy could be an easy way to avoid the potential pain, weakness, and exhaustion that could accompany an allergic reaction to a knee implant. Not only that, but adipose stem cell therapy is a much less invasive procedure with a much faster recovery time than total knee replacement surgery, allowing you to walk out of the office on your own after the procedure. However, keep in mind that you will need someone to drive you home! When it comes to stem cell therapy, it pays to know the different types. According to John Hopkins University, adipose tissue-derived stem cell therapy offers a more economical and efficient source of stem cells than bone marrow. Add to that the fact that they seem to carry much less risk than bone marrow stem cells, are easier to acquire, and offer a quick recovery with minimal restrictions. After looking at the evidence, it’s no wonder why adipose stem cell therapy has experienced such a rapid growth in popularity. Even the European Commission (the executive of the European Union, composed of 28 European countries) funded and subsequently published a clinical trial identifying adipose mesenchymal stem cells as an affordable, widely available, and easily applied treatment option for numerous unmet medical needs in various anti-inflammatory and autoimmune diseases such as Rheumatoid Arthritis (RA). The European Commission further published that the results of the treatments showed a lasting impact for patients who underwent stem cell therapy, but not for patients in the control group that did not receive stem cell therapy. The study also explored the potential economic impact these treatments could have on European citizens. 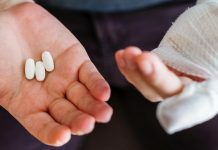 It was discovered that a large portion of some patient’s costs were caused by a loss of work as a result of their symptoms, and these treatments could allow some patients to return to work. Considering the cost of knee-replacement surgery can easily rise in excess of $50,000 per knee, requires a highly invasive procedure, and recovery from knee-replacement surgery can take 3 to 12 months, adipose tissue-derived stem cells could potentially offer a much less invasive and more economically attainable treatment option for patients than these alternatives currently do. The results of these studies may hint at regenerative medicine ushering in exciting new changes to the world of healthcare. With further testing, we may find that these stem cell therapy procedures become a bright new frontier for patients in pain and discomfort. In light of these studies, using stem cell therapy for knees could allow patients with knee pain, injuries, conditions like varus knees, and diseases like osteoarthritis to recover more safely, quickly, and easily than was ever thought possible before. New case studies, government approved clinical trials across the world, and claims by patients themselves are continuously pointing to the incredible benefits using stem cell therapy for knees might offer. These benefits seem to hold special potential for patients suffering from osteoarthritis and arthralgia. This brings hope for athletes, soldiers, and everyday people to enjoy a higher quality of life with less pain and more mobility, which is an incredible thing in and of itself. With such promising results from so many studies, the potential for stem cell therapies to provide pain management and inflammation reduction for patients with debilitating arthritic diseases seems more and more likely. The future of healthcare looks as exciting as ever, and we can’t wait to discover new developments as we move into this generation of stem cell therapy and regenerative medicine. It is this hope and our personal, anecdotal experiences that give us such a strong belief in the treatments we offer. It is important for each patient to explore their potential treatment options and discuss the risks and benefits with your doctor. When it comes to applying the art and science of stem cell therapy for knees, you certainly want a practiced and knowledgeable doctor to formulate a customized treatment plan for your individual circumstances. If you have questions about stem cell therapy for knees, Dynamic Stem Cell Therapy employs an incredible staff and a compassionate, world-class doctor that can help you find the right path for your personalized treatment. Book a consultation or contact us today, and we’d love to help you discover if stem cell therapy could be right for you.